The man is accused of sending a poem that insults Islam to a friend online. CHR Comment: Pakistan has strict blasphemy laws. The article describes several examples of the law used against Christians, some of which may be based on false charges. However, a Muslim sect in Pakistan has suffered most from accusations of blasphemy. How does your view of God change after you switch religions? HuffPost posed the question to three converts to Islam. CHR Comment: What I found fascinating about the comments was that most everything they said was in fact characteristic of Christianity and its teaching about God, apart from some reference to some comments excluding the doctrine of the Trinity. In other words, what these converts say they appreciated about Islam was already present in the religion in which they grew up. For some reason they could not hear or see these teachings in their churches. Christians do well to listen to such stories and learn what people are seeking and valuing in religion. It is by and large not new doctrines or ideas but practice that connects with doctrine. More than 50,000 people have been forced to flee their homes in southeastern Niger after a series of attacks by Islamic extremist group Boko Haram, the United Nations refugee agency said Tuesday. CHR Comment: The article does not describe the religious character of the violence in Nigeria. Boko Haram is an Islamic militant group whose name means “western education is forbidden.” The group is notorious for its attacks upon Christians and other non-Muslims. The second link takes you to the 2015 church history summary, which describes Boko Haram as the bloodiest jihadist group of that year. 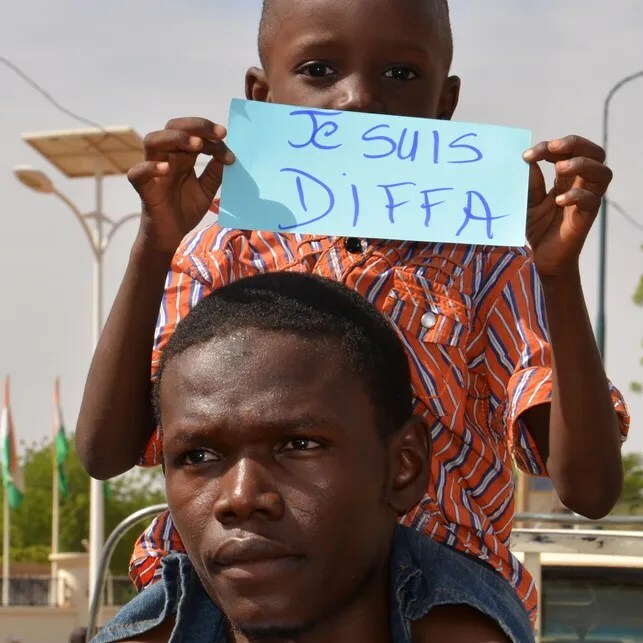 In the picture above, the boy holds a French sign saying , “Je suis Diffa” (“I am Diffa”), which refers to the region of Nigeria attacked. In Turkey, secularists and Islamists alike revere Mehmet II, but both sides paint him in their own image. CHR Comment: May 29th is commemorated in Turkey as the day when Mehmet II conquered Constantinople in 1453. He ended the Christian Byzantine Empire—the last remnant of the ancient Roman Empire. He likewise converted the grandest church in Christendom, Hagia Sophia of Constantinople, into a mosque. He is a controversial figure these days as different Muslim groups try to interpret his legacy and plan their future. An armed Muslim mob stripped an elderly Christian woman and paraded her naked on the streets amid rumors. CHR Comment: The article illustrates relationship taboos in Egypt without indicating what exactly the laws of the nation are. The 70-year old woman in the story did not have an affair. The accusation was against her son, an Orthodox Coptic Christian, and a Muslim woman. The mob attacked a dozen homes and chanted slogans against Christians as infidels. A number of persons from the mob have been arrested. The Woods are suing Maryland’s Charles County Public Schools, the Board of Education, and La Plata High School’s principal and vice principal. CHR Comment: Wood sought the help of The Thomas More Law Center, a non-profit that pursues cases of discrimination against Christians (see second link below). The law center describes itself as the Christian response to the American Civil Liberties Union. An effort to prevent discrimination against Islam can result in discrimination against Christianity according to the law suit described here. The situation illustrates how difficult it can be to discuss religion in an American public school classroom under current law. Nevertheless, religion remains one of the most influential topics in people’s lives, making it an important topic of discussion. An additional article illustrates a similar problem in Austria where a teacher altered a Christian hymn so as not to offend Muslims in the classroom.